If you’re craving some winter sun, we sympathise. January can be a hard month – coming down from the festivities of December, and at the same time suffering from short days, wind and rain. So perhaps you should start thinking about where you can spend next winter! We’d say that if you want a fun, family-friendly place with sun, you couldn’t do better than Lanzarote in the Canary Islands. It has everything you might want – and it’s not that far away. Let’s start with the distance. Lanzarote, off the coast of west Africa, ticks many boxes for us because it’s only four hours or so by plane (as opposed to double that for the Caribbean or Florida) and is also a cheaper destination to visit than those further afield. It’s beautiful, very family-friendly (no resort is more than an hour away from the airport and many are nearer, which is a boon if you have little ones who’ll be tired after all that travelling) and you’ll be guaranteed some sun (although it’s not always bikini weather). Plus, it’s clean and the islanders love kids. The island has lots of accommodation options, from a number of upmarket luxury hotels to self-catering. When we holiday here I usually want to relax, so go for self-catering, where we can hang around in pyjamas if we want to, and have space to play board games or read on the veranda without anyone bothering us. In Playa Blanca where we usually stay, there are a number of nearby supermarkets which make stocking up very easy, and prices are around the same (or usually a little less) than at home. There you have access to a number of gorgeous beaches, particularly Playa Flamingo, Papagayo and Playa Dorada, plus there is a promenade to walk along which is perfect for little legs and buggies (as well as teen legs and older ones!). It is very well served by shops and restaurants and has a marina at one end (with a market on Wednesdays and Sundays) and the old town at the other – all within around 20 mintues walk. Jess is going to write more on the joys of Playa Blanca very soon, so look out for that, but if you choose to stay here, you won’t regret it – not least the views across the Atlantic to Isla de Lobos and Fuerteventura (where you can take a ferry). The beaches in Lanzarote are gorgeous – and the sea is clear and blue. 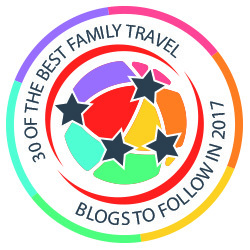 Other family-friendly locations include Puerto Calero (which is only around 10 minutes from Puerto Del Carmen), Costa Teguise (which includes an aquarium and waterpark and has a number of good restaurants and beaches) while Finca de Arrieta, an eco retreat is supposed to be brilliant for kids (we haven’t managed to get here yet though). Puerto Del Carmen is probably the most famous resort on the island, but it wouldn’t be my top choice for a family visit and is better for those looking for busy nightlife, pubs and bars. However, if you are travelling with teens who are looking for more excitement, it may be the right place for you. Lanzarote offers a huge variety of places to go and is easy to get around by car (plus petrol is much cheaper than at home). It doesn’t have the most beautiful landscape (Tenerife is prettier to look at) but I always find the barren, volcanic effect of the southern part of the island pretty impressive, while the mountains are a world away from the hustle and bustle of London. I also love the lack of high-rise buildings – this is because of the architect Cesar Manrique who forbade it. In fact, there is only one building on the island which taller than three storeys, and that was built in Arrecife when Manrique was in the US for a few years. There are loads of lovely beaches to visit, including La Santa (for any surfers in the family) and Famara (on the north shore). Talking of volcanoes, you really should take a trip to Timanfaya, the fire mountain – at least if you have kids from around the age of 4+. Yes, you will face queues, but you will also love the views and the tricks you will see (particularly the way the water steams and shoots up when it’s poured onto the hot ground), and your kids will love the fact that they have seen a real volcano in this moon-like landscape. Very little ones may find the coach tour a little boring, but when we took ours, they were only 4 and 7 and they loved it. Our tip: Go early or late as it gets very busy and you can end up queuing just to get into the park. We first went here when Jessica (who is now nearly 15) wasn’t even three and would highly recommend it. It is basically what it says, a garden full of different time of cacti (more than 1,000 different species), but they are great to walk around and fascinating to look at for all ages. There is also a shop and cafe on site for afterwards. I know it doesn’t sound that exciting, but honestly, it’s great! These caves – a natural wonder – are absolutely stunning, and you and your kids will love watching the white crabs (which have no shells) who take on a kind of dreamlike quality due to the light shining on them in the seawater lake. Created by that man Cesar Manrique (again!) it’s all quite enchanting. This isn’t great for very little children as you need to be really careful along the path, but if your kids are a little older, we’d definitely recommend a visit. Here you’ll see black sandy beaches, stunning views and the impressive sight of the dramatic green lagoon – an effect caused by the algae trapped there by the sea. If you’re coming from Playa Blanca, it’s a lovely drive past the lava fields. Tip: The lagoon is not far from Los Hervideros which is also worth a visit for its fantastic crashing waves. This wild west theme park includes a zoo and also has regular bird of prey and sea animal shows which are great fun. It also boasts a small waterpark, so make sure you take a change of clothes! Aqualava is based in the area of Playa Blanca and has a number of enjoyable rides, plus a lazy river and wave pool. It is also good value. Aqua Water Park, Costa Teguise – we have not been here for many years and have heard mixed reviews about the park, but it is the biggest one on the island, and if that’s what would make your kids happy, you should think about checking it out…. Other suggestions would be the seaside village/town of Arrieta where you can enjoy a fish lunch at one of the many restaurants overlooking the sea. On your way back from this, you can actually visit Cesar Manrique’s House where you can not only enjoy his art collection and work, but also see how he designed and built his own house. Young kids may not find this too enthralling (the volcanoes and beaches are better!). If you like shopping, then you’ll enjoy a trip to Costa Teguise, which boasts the biggest outdoor market in all of the Canary islands. It’s held every Sunday and is well worth a visit. You can also take a ferry from Playa Blanca to the neighbouring island of Fuerteventura and spend the day there. The boat takes less than an hour. Plus, you can try out a pedalo from many of the beaches, or even a glass bottom boat or submarine (from Puero Calero Marina). Be warned that while you will get some sun in Lanzarote, it’s not always baking hot. However, it will definitely be nicer than you will experience at home in December of January! Final tip: We love hanging around Playa Blanca and enjoying the beaches, food and relaxing. We’d recommend you taking a trip or two, but think you will probably enjoy Lanzarote without having to exert yourself too much by being out and about! And you can always come back again, just as we have…. Love this post and full of such good ideas of things to do! Saw flights to Lanzorote yesterday and was thinking of what to do with kids. Were you just there? If so, we might have walked right past each other at Playa Blanca! We just returned from a week in Lanzarote, and had a great time. The kids are asking when we can go back so they can continue surfing and scuba lessons. We *just* missed seeing the Museo Atlantico opening because of wind & bad visibility — just means we have to return! Fab advice – the beach looks lovely and sandy. We *almost* booked a villa holiday to Lanzarote a few years ago but didn’t make it. My mum has though and she loved it. I can see your point that the cactus garden might be exciting. I went to one on Majorca, pre-kids, and loved it! We haven’t visited Lanzarote yet, but I can see that it would be a great alternative to more expensive, far-flung destinations. Will add it to my list. We went to Playa Blanca a few years ago but decided to have a really relaxing break with no car, just lazing around the pool at the villa plus a couple of visits to the beach and one day out climbing a volcano. It’s really interesting to see all your ideas of places to visit. It’s one of the things I love about it – you can just relax or go out and have a great day visiting somewhere special. It looks like this area can be as relaxing or busy as you want. I’m with you… give me a beach, nice place to stay and I’m a happy camper. It’s nice you have found a spot that you love and want to return to again and again. I would definitely make time to see the lava fields, as I’m sure they are something to see. After reading through these comments I feel so out of the loop. I have never even heard of Lanzarote but now I am fascinated by the whole fire mountain thing. I am sure the kids and I would get a kick out of seeing that. Thanks for putting it on our radar. The one time I visited Lanzarote was before Rory was born but I still remember it being a great holiday. We stayed in an apartment in Costa Teguise and loved going to a nearby hotel for pre-dinner drinks as it had a revolving bar. If I remember rightly it was very windy but it was so good to have some winter sunshine. Great post, thanks for sharing these great traveler tips and experiences! Looks like a truly memorable family holiday destination. The Canary Islands certainly offers some incredible gems. There’s so much it has to offer. Traveling certainly presents such an amazing opportunity and can really broaden your perspectives on life and strengthen your understanding and appreciation for other cultures. I could really do with some winter sunshine right now! I’ve never been to Lanzarote but it looks like there’s plenty to see. The only Canary Island I’ve visited was La Palma, back when I was first pregnant with my eldest (not that I knew it at the time!). That was an amazing place. Lots of great ideas there, thank you. I particularly like the idea of visiting Timanfaya. I reckon the kids would love it. I love Lanzarote ….. it takes me back in time of my visit looking at those photos. Did you went to see the cave hous/ mansion and green lagoon? Yes, we’ve been there too! It’s such a lovely island. Oh Lanzarote, I was there last year. It is a beautiful place and you brought up some great points! Happy exploring. I’ve never heard of this island before but it seems like Lanzarote is a destination that would be worth a long visit. I’d love to experience the volcanic action. Reminds me of the Kona Coast of the Big Island of Hawaii! Nice trip! Truly your photos tells how you enjoy your travel. Truly Lanzarote is a perfect place for everyone. There so much activities in this islands that awaits for everyone.There are also plenty of hotels in Lanzarote that surely accomodates visitors. Great place, sumptous foods, and perfect weather. That is Lanzarote!